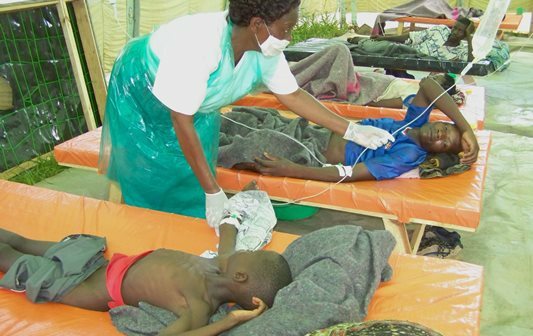 The country’s ministry of health has revealed that a number of deaths due to cholera outbreak has risen from 26 to 30 with 893 people still on treatment. Ministry of Health spokesperson, Joshua Malango said the disease which began last November in Karonga has now spread to 13 districts in the country causing fears of losing more lives. The outbreak is said to have risen due to drinking shallow and contaminated water. The ministry has since imposed a ban on selling cooked food in all the affected 13 districts in attempt to curb a further spread of the disease. The United Nations agency for children, UNICEF, said it’s working with Malawian government and other international organizations to provide medical supplies and equipment for treatment of patients in affected communities.